Astronomers defined a new number of galaxies in the universe.The observable Universe is a lot more crowded than astronomers previously thought and may contain more than 2,000 billion galaxies.To come up with the new figure, an international team of astronomers led by Christopher Conselice from the University of Nottingham, UK, used deep space images from Hubble, and combined them with data collected by other astronomers. The images were converted into 3D, allowing the researchers to make accurate measurements of the number of galaxies at various stages in the universe’s history...................Visit Page. Chandrayaan-1 (Hindi: चन्द्रयान-१) was India's first lunar probe. It was launched by the Indian Space Research Organisation in October 2008, and operated until August 2009. The mission included a lunar orbiter and an impactor. 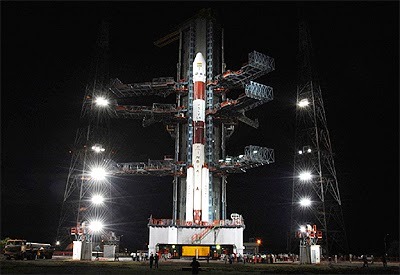 India launched the spacecraft using a PSLV-XL rocket, serial number C11,on 22 October 2008 from Satish Dhawan Space Centre, Sriharikota, Nellore District, Andhra Pradesh, about 80 km north of Chennai, at 06:22 IST (00:52 UTC).Former prime minister Atal Bihari Vajpayee announced the project on course in his Independence Day speech on 15 August 2003. The mission was a major boost to India's space program,as India researched and developed its own technology in order to explore the Moon.The vehicle was successfully inserted into lunar orbit on 8 November 2008........................Visit Page. 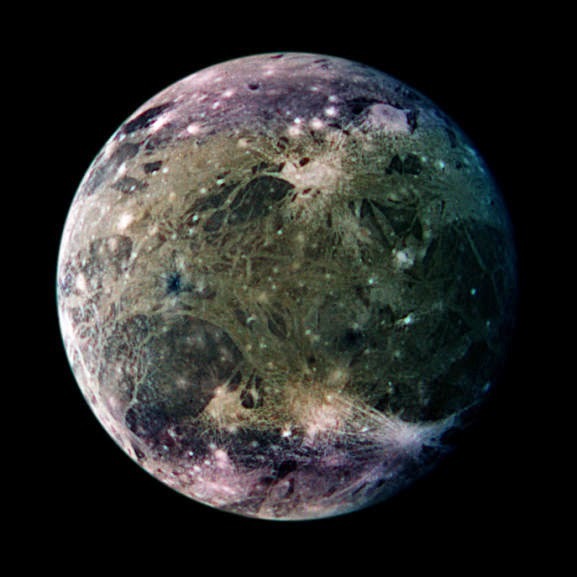 Ganymede (Jupiter III) is a satellite of Jupiter and the largest moon in the Solar System. It is the seventh moon and third Galilean satellite outward from Jupiter. Completing an orbit in roughly seven days, Ganymede participates in a 1:2:4 orbital resonance with the moons Europa and Io, respectively. It has a diameter of 5,268 km (3,273 mi), 8% larger than that of the planet Mercury, but has only 45% of the latter's mass. Its diameter is 2% larger than that of Saturn's Titan, the second largest moon. It also has the highest mass of all planetary satellites, with 2.02 times the mass of the Earth's moon.......................Visit Page. 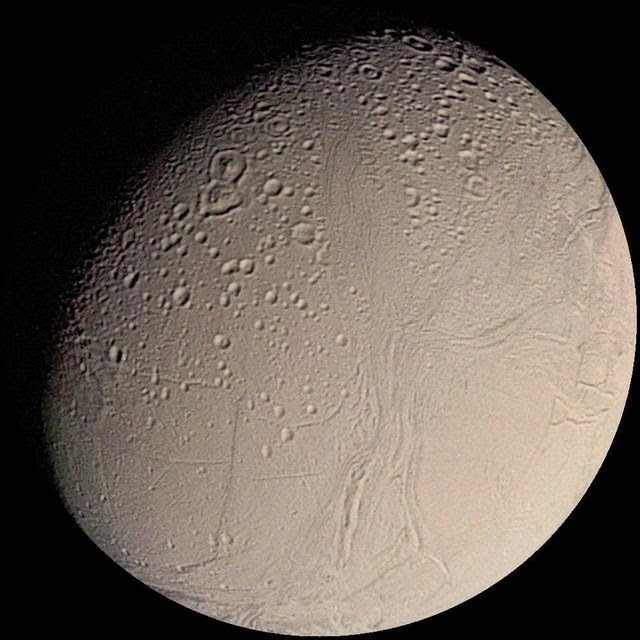 Enceladus is the sixth-largest moon of Saturn. It was discovered in 1789 by William Herschel, but little was known about Enceladus until the two Voyager spacecraft passed near it in the early 1980s. The Voyagers showed that the diameter of Enceladus is only 500 kilometers (310 mi),about a tenth of that of Saturn's largest moon, Titan, and that it reflects almost all the sunlight that strikes it. Voyager 1 found that Enceladus orbits in the densest part of Saturn's diffuse E ring, indicating a possible association between the two. Voyager 2 revealed that, despite Enceladus's small size, it has a wide range of surfaces ranging from old, heavily cratered regions to young, tectonically deformed terrains that formed as recently as 100 million years ago....................Visit Page.